With Formula One currently on 'summer break', teams and drivers have the chance to relax, recharge, take stock of the season so far, and figure out how to come back stronger after the unofficial halftime of the 2018 season. A clearer picture is starting to emerge between this season's team-mates; which drivers are currently winning their battles, which ones are fighting back from a poor start to the season, and how do these outcomes compare to JAonF1's start of the season predictions? His form has improved since Monaco, but remains patchy. 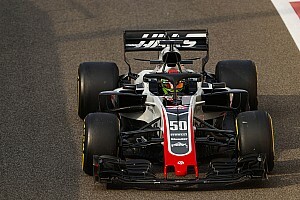 He's demonstrated that there is little wrong with his pace; he was the lead car in Haas' best-ever result of fourth and fifth place at the Austrian Grand Prix, but incidents at the British Grand Prix and qualifying for the French Grand Prix have prevented him from taking what should've been more points. Overall, the duel between them is much closer, but Grosjean still has work to do if he's to prove that he can have the consistency required to be kept on by the team for 2019. As a Ferrari customer team, Haas may have the option of using a Ferrari junior driver (Charles Leclerc or Antonio Giovinazzi) for the second seat alongside Magnussen. 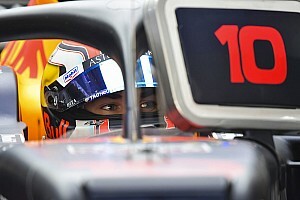 At the start of the season, many thought that Renault would be the perfect opportunity for Carlos Sainz to break away from the Red Bull stable - although still technically on loan - and flourish in a works team in order to give himself the best chance of being at the sharp end of the grid. However, Nico Hulkenberg - who has already been at Renault for one season - has kept the highly-regarded Sainz quiet this year, and the Spanish driver already appears to be considering his options away from Renault, to either be called back replace Ricciardo at Red Bull, or even leave the Red Bull family altogether. Hulkenberg generally had the upper hand in the first six races, but Sainz's recovery has started by levelling up the qualifying battle, which is 3-3 over the last six races, although Hulkenberg's Q2 exit in the wet Hungary qualifying - where Sainz shone - was blamed on a fuel system issue, which meant he was late onto a worsening track. Sainz can claim to have definitely beaten his team-mate in two races; the French Grand Prix and the Hungarian Grand Prix, whilst Hulkenberg was the victor in Canada and Germany. The points over the six races are 26 to 10 in Hulkenberg's favour. Now, with Mercedes all signed up and Ferrari looking to partner either Kimi Raikkonen or Charles Leclerc alongside Sebastian Vettel, Ricciardo has opted to move to Renault in order to establish himself as the lead driver at a 'works' team. In the meantime, he has to do something about the resurgent Max Verstappen, who has upped his consistency, taken a race win in Austria and - mostly - kept his nose clean in the last six events. The recent qualifying battle is 6-0 to Verstappen, although this includes two race weekends of poor fortune for Ricciardo; Red Bull, sensibly, didn't run a complete qualifying session in Germany after the Australian was given a 20-place grid penalty for power unit component changes, and he was caught out by yellow flags in Q2 for the Hungarian Grand Prix. Despite the side notes that you can put next to Ricciardo's name at some of the races, the form doesn't make for great reading. Even if you discount the races where he was set back by qualifying dramas, it's still 4-0 to Verstappen, who has now reversed his early-season form and is now looking like the stronger driver. Can Ricciardo fight back after the summer break? 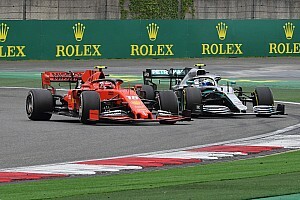 A combination of qualifying errors, pit stop problems and mechanical issues prevented Kimi Raikkonen from being closer to his championship-challenging team-mate Sebastian Vettel in the first six races of the season. His pace since then hasn't been enough to challenge Vettel in qualifying, a battle he trails 5-1, but with no in-race reliability issues to contend with, he managed to take five podiums from six races, despite not winning a race. The race record is three races apiece, with Vettel ahead on points (93 to 86) over the six races mostly thanks to his two victories at the Canadian and British Grands Prix, and despite his retirement from the German Grand Prix. Raikkonen hasn't been helped by the fact that he's running the older-specification power unit, but updated Ferrari power units - due to be assigned to the Ferrari works team after the summer break - may help the Finn edge ahead in qualifying slightly more frequently than he has been doing. It may not be long before Raikkonen is officially called on to play second fiddle to Vettel, but the target for Raikkonen must be to get himself into more positions where the 'move over' call has to be made, as opposed to being behind regardless. Vettel, meanwhile, will be keen to avoid the mistakes which have beset his mid-season. Added to the error whilst in the lead of the German Grand Prix, he was to blame for the collision with Bottas at Paul Ricard, and he hampered his Austrian Grand Prix chances by receiving a penalty for blocking Renault's Carlos Sainz in qualifying. Valtteri Bottas' 2018 season continues to be plagued by things not quite going his way, whether or not they are within his control. He was the lead Mercedes throughout the Canadian Grand Prix weekend, but was bumped off the circuit by Vettel at Paul Ricard. He suffered a cruel hydraulics failure whilst in the lead at Austria, was put onto a sub-optimal strategy after the VSC at Silverstone, denied the chance to attack his team-mate for the win in Hockenheim and had no choice but to try and make a ambitious one-stop strategy work in Budapest. It could be argued that other drivers may have been able to make the difficult tyre strategies at Silverstone and Budapest work, but there's no denying that he deserves to at least be a bit closer to the title fight than he is. 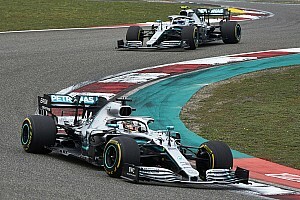 The qualifying record is 3-3 for the last six races, although quite where the blame lies for Hamilton Q2 exit in Hockenheim might be the subject of some debate. However, with three pole positions and three victories, Hamilton has fully-executed the chances that have come his way, including a superb pole position at a wet Hungaroring after looking like he was in for a very difficult weekend.